Emmy Noether’s many articles around the time that Felix Klein and David Hilbert were arranging her invitation to Göttingen include a short but brilliant note on invariants of finite groups highlighting her creativity and perspicacity in algebra. Contrary to the idea that Noether abandoned Paul Gordan’s style of mathematics for Hilbert’s, this note shows her combining them in a way she continued throughout her mature abstract algebra. Roquette, P. 2002. Emmy Noether’s contributions to the theory of group rings. http://rzuser.uni-heidelberg.de/ci3/manu.html. Roquette, P. 2008. Emmy Noether and Hermann Weyl. 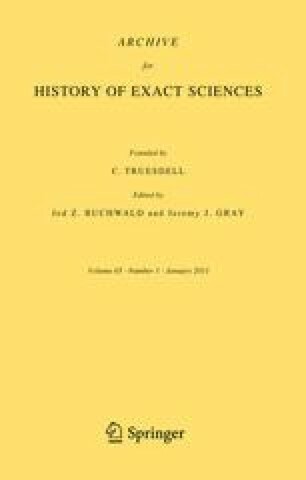 In Groups and analysis: The legacy of Hermann Weyl, ed. K. Tent, 285–326. London: London Mathematical Society. http://rzuser.uni-heidelberg.de/ci3/manu.html.